I began consistently writing at the same time I consistently began homeschooling. I sat in a Starbucks every Wednesday evening, ordered my pumpkin spice latte with whip and biscotti (cliché but true), opened my flip journal and wrote about my days, what me and my four kids did, who was learning what, and how we were all processing the transition to being together. The process of journaling, essentially recording my huge, messy spill of thoughts, was therapy itself. Journaling was a practice I began when I started writing, and has kept me sane through my toughest life stories, has been my cheapest therapist, and has allowed me to make confident choices, switch choices, not be afraid of my choices, make choices in front of questioning eyes, shift my choices again, becoming confident for the reasons of my choices. Since I was chomping at the bit to get started homeschooling ten years ago (I decided to homeschool one and a half years before we began), we started in July. I began journaling a few months before the pumpkin spice lattes reentered our North American world. I do get to experience my children in a very organic way, watching their interests expand, their skills develop and the whole thing still goes by so quickly. Too quickly. And every once in a while, I really would like seven hours away. Homework at the end of a busy day sounds unhelpful. Unless, they’re self-motivated. Everyone can keep their academics within ‘normal school hours’ unless they have too many extracurriculars during the day, which is the case for my grade 10 daughter, but she likes it that way. Yes, sometimes we do learn through rote learning and memorization. It is one tool of learning. Certainly shouldn’t be the only one. And learning to test is a tool too. But actually wanting to learn something should be where the bulk of learning should remain. We absolutely do use math in our every day. You are less likely to have money mistakenly taken from you at the cashier if you know how to count your own money. Knowing how to calculate percentages in your head makes tipping quicker and making reliable guesstimations on sales purchases. Calculating area enables quick calculations for carpeting a room or building a chicken coop. Memorizing times tables makes advanced math a simpler process. Etc. Some kids will need advanced math for later schooling; some kids like playing with advanced math. I, myself, shall never have need for a $100 calculator. The word trigonometry still means ‘confusion’ in my thesaurus. But math practice, especially mental math and math problems, quickens the brain, building neural networks. Kids are better socialized by capable adults, not same aged peers. Yup, yup and yup. (I am not suggesting children don’t have regular contact with same aged peers or that they don’t have regular social activities, but socialization that breeds kindness, authenticity, and all the character traits you hope for your child is led by kind, authentic, invested and capable adults; the more, the merrier). When kids are younger, they are less aware of fashion and vocabulary trends, and obviously don’t need indoor and outdoor shoes. As homeschooled kids enter adolescence, they find themselves more invested in independent social scenarios and they most definitely clue into fashion and vocabulary trends. (I, on the other hand, believe that when someone says something is ‘sick’, I think they are actually sick, that if someone says they are fierce, I assume they self-describe as unabashedly unkind, not cool and courageous, or whatever it means). Homeschooled kids definitely get regular hot lunches (I am not well versed in packing lunches, but the kids are well versed in making their own hot lunches, unless they want my lentils and rice, or kale salad, or homemade soup, which they usually don’t). Homeschooled kids definitely get a surprising amount of extracurricular activity time. There really is just more time in their days. They also get a whole lot more leisure. They are accustomed to having breathing room in their days. I rarely hear “I’m bored”. But when I do, I recognize that statement as a jumping off point for learning something new, pursuing something new, or going farther into an established interest. I am not afraid of that statement, nor do I want to entertain it. Every parent gets to influence their child’s direction and internal compass in life. Not just homeschool parents. But we sure do have more moments to influence them. Which can also become moments to enmesh (and in the moment, we don’t realize we’re enmeshing…). We are front and center on our child’s stage, them watching us, us not necessarily knowing what they’re watching. I most definitely skip out on signing stuff, finding forms, organizing mandatory volunteer time, and doing school stuff I don’t want to do. I sign up for the ultimate parenting homework. I follow my child’s interests closely, learn about resources that would facilitate those interests, learn how to organize academic time that suits them, find curriculum or books that I believe to be useful, until it isn’t, question every aspect of the conventional education and vie to do it different, because I customize my children’s educations, until I realize that some of the conventional education is useful (despite much of its busy work), I organize everything in my homeschool daytimer, maintain schedules, hope to arrive on time to every activity they’ve signed up for (which is at least four times busier than what I would have allowed to be if they were in school). I pay for children’s academics and books and curriculum and interests. I think through absolutely every last detail, and then I watch the kiddo, and I rethink again, and change again, then change again for the next child. I definitely do not skip out on parental homework. Learning style accommodation: yup. 100% true. If an education is about educating a person to develop interests and skills and aptitudes to have some purpose in the world and find meaning through it, then I, with perfect errancy and inconsistency, am able to participate in enabling an education for an individual. My homeschool children’s learning styles are always accommodated. I’ve been a stay-at-home Mom for almost 16 years now. During that time I have home schooled 7 children and am enjoying watching them grow up to be amazing young men and women. It was the best decision I ever made. 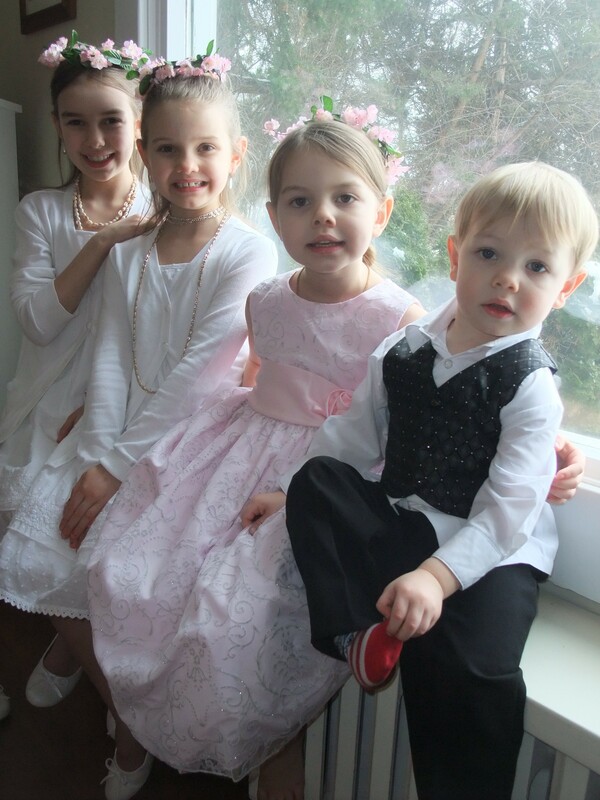 I’m just now starting to write a blog about adoption as 5 of my children were adopted from a foreign country called Latvia. Thanks so much for writing your post. It was refreshing. It is a sacrifice to homeschool and be at home for sure, but one I think well worth the effort!! Teenage years are tough!! The ages of mine are 21,16,15,15,14,14,13,11….. 3 of which are girls…. Lots of emotions for sure….Hang in there…. You too! Wowsas. You put my world into perspective! Still waiting for my powers….. But who says it’s NOT gonna kill us!! I can’t wait till their mamas. 😘a mama after my heart, haha! Really a great post loved reading what you think after 10 years. Thank you! Times always gives us different perspective.